MDI/MDI-X detection. Existing 10Mbps networks can now be upgraded effortlessly to higher speed 100Mbps Fast ETHERNET networks. 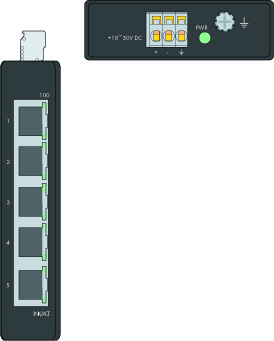 The 852-111 5-port density can be used to create multiple segments to alleviate client congestion and provide dedicated bandwidth to each user node. for emerging IP-based industry communication needs.